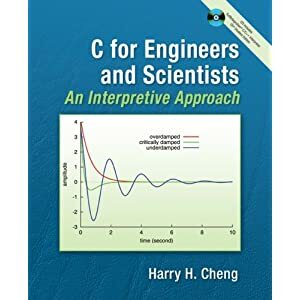 C for Engineers and Scientists is designed to teach students how to solve engineering and science problems using C. This is a complete and comprehensive introduction to computer programming in C language, with introductions to object oriented programming in C++, and graphical plotting and numerical computing in C/C++ interpreter Ch and MATLAB for applications in engineering and science. It teaches beginners with no previous programming experience the underlying working principles of scientific computing and a disciplined approach for software development. All the major features of C89 and C99 are presented with numerous engineering application examples derived from production code. The book reveals the coding techniques used by the best C programmers and shows how experts solve problems in C. It is also an invaluable resource and reference book for seasoned programmers.